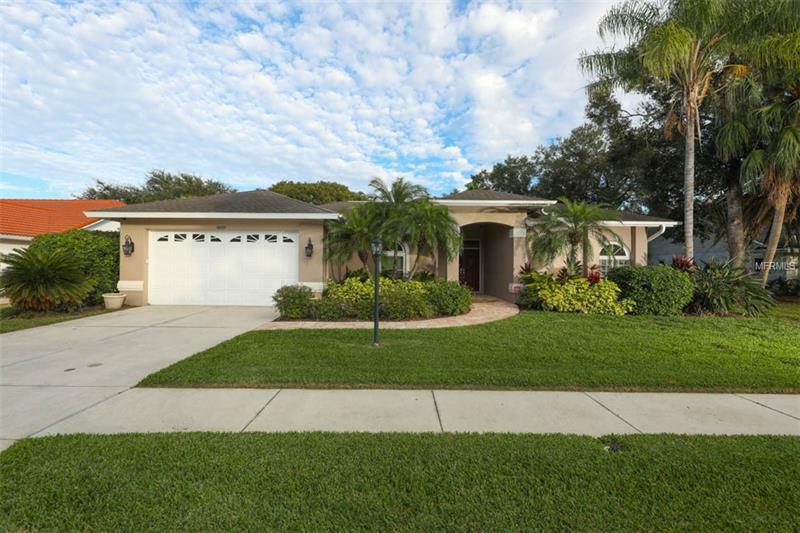 Hard to find 4 bedroom 3 bath heated pool home located in popular Grove Pointe and the âAâ rated school district for Ashton Elementary Sarasota Middle and Riverview High School. It will not disappoint !!! Two master bedrooms !!! Multiple French doors throughout the home & volume ceilings make for a light & uplifting atmosphere. This home has been meticulously cared for and features a panoramic super screen pool cage (2015) granite countertops updated bathrooms. One year old kitchen cabinets and one year old pool heater stainless steel appliances newer impact windows (2009) A/C ( 2010). 10000 gallon heated pool with spa and covered lanai with ceiling fan TV fireplace large fenced backyard. Brand new front entry doors and garage side doors coming soon !!! 2 car garage with new epoxy coating. Front & rear landscaping is beautiful and easy to maintain. Lawn irrigation included !!! This is one stunning home that won't last long !!! Click on the virtual tour to see 3D Matterport scans !!! Grove Pointe has low HOA fees of $395 a year and is located 15 minutes from the Siesta Key Beach 10 minutes from Riverview High School and minutes from Home Depot Walmart shopping restaurants and is conveniently situated to both the Bee Ridge and Clark Road I-75 exits.